This article shows you the easiest way to convert WMV to MOV (QuickTime) format on Mac OS X (El Capitan included) for further editing or playback smoothly. Though WMV is a quite hot video format developed by Microsoft, it is not compatible with Apple products like QuicTime, iMovie, iTunes, Final Cut Pro, etc. To resolve the incompatible issues, the easy option is to convert WMV to MOV (QuickTime) in order to play the Windows’ default format WMV on Mac with QuickTime player, edit WMV files with iMovie or import to iTunes for syncing across multiple devices easily. This article offers you the entire process. 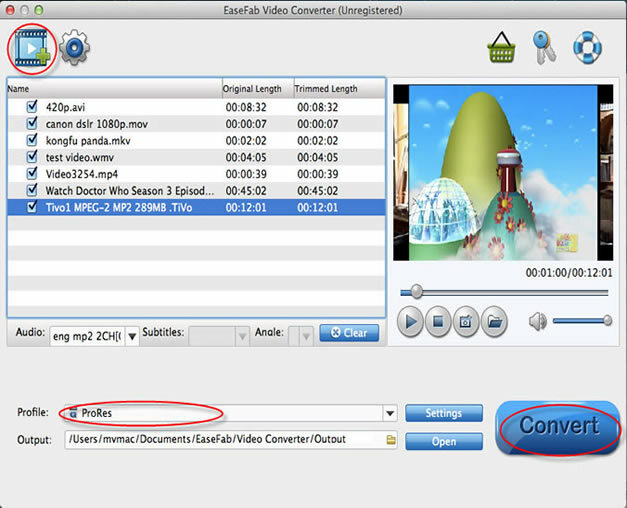 First of all, you need to download a professional app like EaseFab Video Converter for Mac for help. The Mac converter provides fast conversion speed as well as loss-less output quality. With only a few simple clicks, you will get a MOV video from WMV without any quality loss. 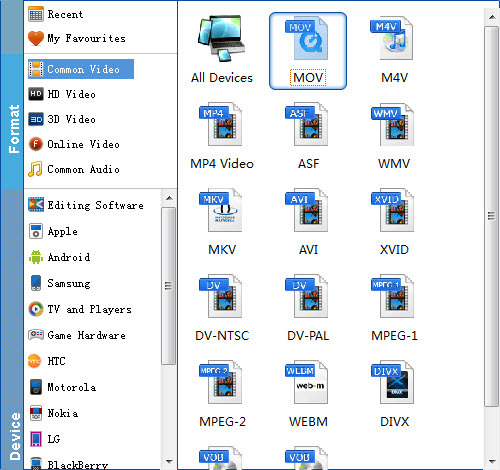 Besides, it can convert among other video formats like MP4, M4V, MOV, AVI, WMV, FLV, MKV and an array of others. What’s more, the program supports outputing various professinal encoders – Apple Intermediate Codec, ProRes and DNxHD – ensuring the best results when editing with iMovie, Final Cut Pro, Avid Media Composer. With the Mac app, you can easily play, edit and share your WMV videos on Mac without any hassle. Drag & drop the WMV files to the Video Converter for Mac. Alternatively, you can click “Add Video” button to select the WMV files and import them to the program. This application supports batch conversion, so you can add more than one file at a time. Click the “Profile” drop down list to select “MOV” from “Commoon Video” category as the output format. If you want to convert WMV files to portable devices, this Mac app offers a variety of presets for iPad, iPod, iPhone, Apple TV even apps like iMovie, FCP. When you finish the output settings, just click the “Convert” button to start the conversion. If you don’t want to wait around during the conversion, you can let this smart Mac app automatically switch off the computer when the conversion is done. This entry was posted in Mac, WMV and tagged Convert WMV to MOV, WMV Converter Mac, wmv to mov converter mac, wmv to mov freeware, wmv to mov mac. Bookmark the permalink.